Research Ranchlands Estates real estate statistics as of Thursday, April 18th 12:22am. Currently 24 active Ranchlands Estates listings with an average price $373,291.67 highest price property $657,900.00. More Ranchlands Estates real estate statistics. Ranchlands Estates Real Estate Statistics Housing Market? Ranchlands Estates real estate statistics and housing market statistics Thursday, April 18th 12:22am are based on data acquired from CREB® members only. Currently 24 active Ranchlands Estates listings average price $373,291.67 highest price $657,900.00. In some instances, a proportion of transactions may be completed by real estate professionals who are not registered CREB® members, which means for some areas our reports may not reflect all the resale activity, impacting trends for a given area within CREB®’s region boundary. Always contact a CREB® member to ensure the most accurate data for the information you are researching. Search Ranchlands Estates real estate statistics information, real estate agents. Find Ranchlands Estates real estate statistics, housing market statistics, live updates, news, explore local community information. 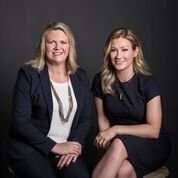 The real estate housing market is constantly changing Ranchlands Estates agents are experts who know current market trends. Ranchlands Estates Community REVIEWS, statistics, golf courses, crime rates, news, Ranchlands Estates community maps . As residents of Ranchlands Estates will tell you this is a GREAT place to live. Wonderful restaurants, shops, search Ranchlands Estates off leash Dog Parks and of course, people! Every day we see improvements to the neighborhood with community events attract more people each year. What are Ranchlands Estates Detached Homes? There are different detached property types of Ranchlands Estates Detached Homes housing market. The largest and most influential segment in Ranchlands Estates, which can be defined as a unit (home) that is not attached to any other unit. While Ranchlands Estates Attached Homes is broadly defined as a unit that is attached to another unit by at least one common wall, there are different variations depending on the property type. For example, semi-detached product is attached to only one other dwelling by a common wall (two dwellings attached). Search 24 active Ranchlands Estates listings with Ranchlands Estates real estate statistics, maps, REALTORS® & homes for sale Nw Calgary on April 18, 2019. Currently active properties average price $373,291.67 highest $657,900.00. Property types include Attached homes, Detached Homes, Luxury Homes plus Condos, Townhomes, Rowhouses, Lake Homes plus Bank owned Foreclosures.